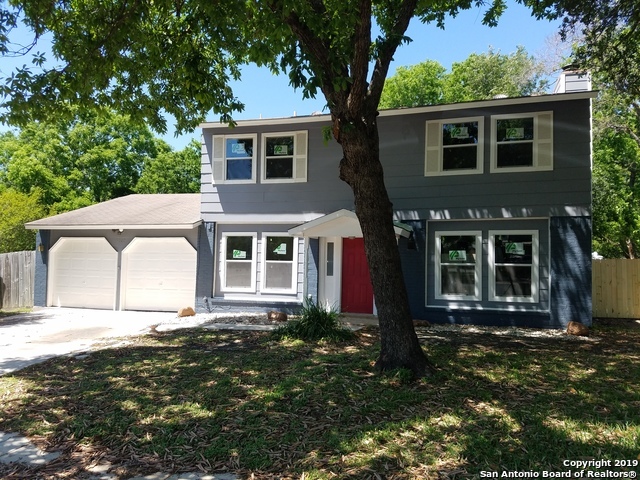 All Woodstone homes currently listed for sale in San Antonio as of 04/23/2019 are shown below. You can change the search criteria at any time by pressing the 'Change Search' button below. "Beautiful 4 bed, 2.5 bath home at 1828 sqft on a cul-de-sac with tons of new features such as Newly paint,vanities , laminate wood floors, carpet, granite counters, this is a very spacious home with oversize living area. Tile counters in the kitchen with a great space for meals and entertaining. Close to Ft. Sam Houston, Randolph AFB, IKEA, The Forum, and Downtown San Antonio." "Darling 3/2 NEISD home with open floor plan and sweet backyard. Walk into the home and you'll immediately feel the charm and the comfort. The living/kitchen/breakfast area lends to cozy family time or entertaining your friends. Small atrium is a unique addition. Lots of smiles tucked in and around this home! Very short walk to Woodstone elementary, and a short drive to IH35 for an easy highway commute. You'll love it here!" "Well maintained and updated 4bd 2bth beauty. 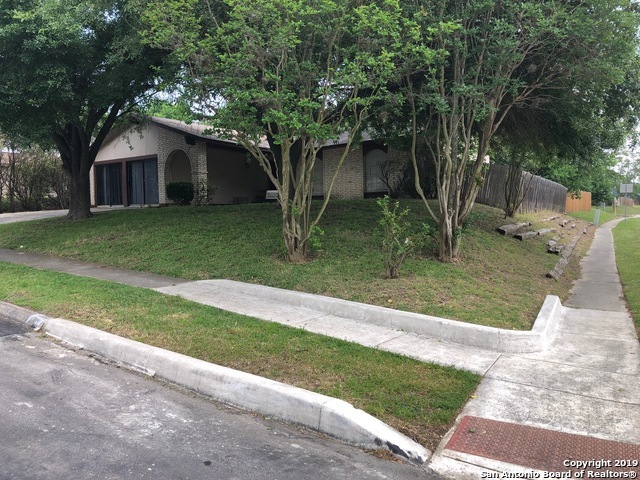 This home has updated bathrooms, kitchen countertops, new carpet, recently replaced windows, roof and AC are just some of the items that make this home a must see. This Gem won't last long so book your appointment today!!!" "WOW! Nicely updated 3/2/2 in NEISD. All new flooring, paint and fixtures. Updated kitchen and baths have granite counter tops. Gorgeous master bath with a barn door entry. Cabinets above washer and dryer. Double Pane Low E windows (except front window). Hardi Plank siding on 3 sides of the exterior. Newer roof, HVAC system and hot water heater. Large backyard with covered patio. New concrete sidewalk to house. New sod installed in front yard." "corner lot , mature trees, converted garage, can be an extra bedroom or game room, or Family room. Walk to elementary school or neighborhood pool....centrally located to shopping and school.."
"Nestled in a cul-de-sac on an over-sized lot is this beautiful open-concept one story home. Pride of ownership is apparent from the moment you walk through the door. The freshly painted interior to the updated bathrooms makes this beauty move-in ready. NEISD schools and the convenience to shopping, schools and roadways are a bonus." "BEAUTIFUL RED BRICK HOME . VERY WELL KEPT AND CLEAN AS CAN BE !! LIKE NEW !! COMPLETELY REMODELED . GREAT FUNCTIONAL FLOOR PLAN AND VERY SPACIOUS . GOOD SIZE KITCHEN WITH GRANITE COUNTER TOPS. ALL STAINLESS STEEL STOVE , REFRIGERATOR, AND BRAND NEW DISHWASHER . ABSOLUTELY NO CARPETS , EVERY ROOM HAS BRAND NEW QUALITY LAMINATE FLOORS . HOME ALSO HAS A FAMILY ROOM/GAME ROOM . GREAT LARGE AND COZY BACK YARD WITH MATURE TREES. EXCELLENT LOCATION CLOSE TO RETAIL & SCHOOLS. 1,466 sf. Total WITH CONVER"